Gambling and casinos in Estonia are relatively young, at least as a form of legal entertainment. Formerly part of the USSR, Estonia gained its independence in 1991. In the USSR all forms of gambling were prohibited, though illicit forms were still prevalent. Gambling in Estonia was first regulated by the 1994 Lottery Act and the 1995 Gambling Act*. The gambling regulation currently in effect is the 2009 Gambling Act. This act was introduced to control and consolidate the industry, as well as increase revenues. It is questionable though, how successful this latter aim has been, as the number of casinos had decreased from 91 to 33 between 2008 and 2010. The 2009 Gambling Act includes the regulation of the online gambling market. At first, only local companies were allowed to offer online gambling services in Estonia, but the market was opened to foreign sites in 2011. Since then, several online gambling licenses have been issued. Unlicensed online gambling sites, on the other hand, have been blocked by ISPs since this regulations, though this does not affect all gambling sites. The 2009 Gambling Act of Estonia covers several categories of gambling. Of these, casinos fall into the category of games of chance, which include gaming machines and table games as well. As of 2010, casinos must house at least 40 slot machines and 5 table games. The gambling regulation also allows the operation of slot halls, which had previously been viewed separately from casinos. However, since 2010, no legal distinction is made between these two types of gambling establishments. There are several land-based casinos in Estonia, operated by both locally-based and foreign companies. The financial crisis has had a rather grave effects on the casino market in Estonia, which likely contributed to the decrease in numbers. The largest casino operator, with 20 casinos throughout the country, is Olympic Casinos. This company that opened its first casino in 1995 in Estonia has now expanded to 6 other countries as well. Online casino gambling has also been legal and regulated since 2010. Local and foreign operators alike must apply for a licence. 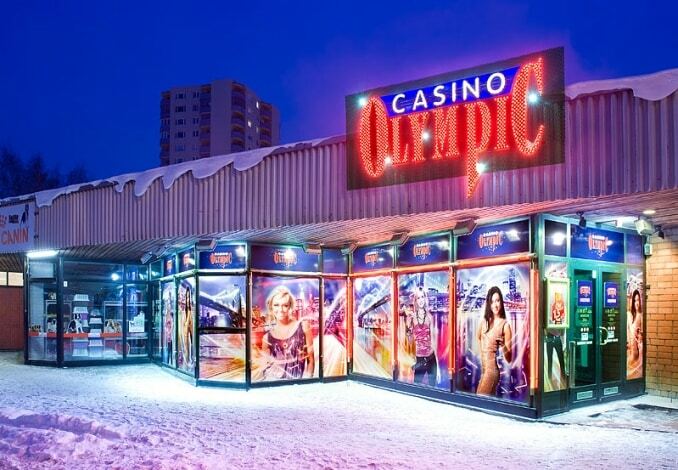 The first licensed online casino in Estonia was Olympic Casinos’ online platform, OlyBet. There are also no laws against Estonian players gambling on unlicensed foreign sites, and such online casinos may be blocked by ISPs. Bingo is legal in Estonia, and would most likely be considered a game of chance. However, bingo does not enjoy widespread popularity, and currently none of the large casinos in the country offer bingo games. Still, there is a way to play bingo in Estonia: The state owned Eesti Loto offers bingo games in the form of Bingo Loto, a televised bingo game. Tickets for Bingo Loto also be bought online, on the website of Eesti Loto. Estonian players are also free to participate in bingo games on foreign online bingo sites, though not many accepts players from Estonia. Can’t recommend any bingo websites right now. Poker is legal in Estonia, and it is one of the most popular forms of gambling. In accordance with the 2009 Gambling Act poker is considered a game of skill, that is, a game where the result is determined partially by actions based on chance, or depends on the occurrence of an event not known in advance. Poker is one of the table games that can be operated and played in Estonian casinos, and it can be found in most of them, too. Poker players can find several live cash games and tournaments to participate in. Online poker is also legal in Estonia. There are both locally based and foreign companies operating online poker games within the country. PokerStars received its licence to provide online poker games in 2010, though the first licensed online operator was the previously mentioned OlyBet, where poker games are also available. I can not recommend any poker websites right now. Sports betting is legal in Estonia, and has its own category within gambling. Although sports betting is not a state monopoly in Estonia, most of the countries betting shops are operated by Spordiennustus, which is owned by the Estonian Olympic Committee. Sports betting is also available in several casinos. According to the Estonian Consumer Protection Board, about 10% of all Estonians have placed bets on sports events. The most popular sport to wager on is football. Estonia also hosts a horse race track, the Tallinna Hipodroom. Horse race betting is run by the company Totalisaator. Online sports betting is also legal and available in Estonia. Spordiennustus has been offering online sports betting opportunities since 2004. Online sports betting was liberalised in 2010 along with other forms of online gambling. Locals are also free to wager on international online sports betting sites. Lottery is legal in Estonia, and it is more or less the monopoly of the state-run Eesti Loto. Eesti Loto offers quite a few lottery games, including scratchcards, Keno, Bingo and the regional Viking Loto. Though there has been talk of privatising the national lottery, for now it remains state-owned. Eesti Loto also holds the monopoly to provide online lottery games. There are no online lottery licences issued to other operators. However, there are no laws preventing Estonian players from participating in any foreign online lottery draws available to them. Bitcoin gambling is not specifically regulated in Estonia, and could, theoretically be operated and played legally. However, providing online gambling services in any form in Estonia is tied to a licence, and no online gambling licences have been issued to Bitcoin casinos. The reason Bitcoin gambling might as well be considered illegal is the strict regulation of the cryptocurrency itself. Bitcoin has been called a Ponzi scheme by officials of the central bank of Estonia. * Exchanging any amount of Bitcoin requires a licence. This only applies to casinos, which accepts bitcoin only., online casinos, which accept Bitcoin and regular currencies as well can get a license. This online gambling guide focuses on the legal status of online casino gambling, lottery, sports betting, bingo, poker and Bitcoin gambling in Estonia.